As you may know, from reading my previous blogs, the catalyst for my own healing journey started with a traumatic injury. I mention this here because, in retrospect, there is actually a prequel to that moment in time. This led to living life in a persistently unhealthy way. While I wasn’t always unhappy, the underlying threads holding together the fabric of my health were fraying. Always battling my weight. Never enough sleep. Not enough energy for physical activity. No time for creative outlets. False energy in caffeine and sugar to keep up the go, go, go pace. And, I was living in a chronic state of stress to where I often didn’t even notice it wasn’t normal. As a result, I was also living with multiple chronic conditions caused by inflammation and autoimmune responses that my physicians at the highest levels of academic medicine couldn’t keep in check. I was heading for a health crisis. One of my most insightful physicians led the integrative medicine department at the university medical center where I worked. She explained the connections between my mind, body and spirit, their impact on my health, and the effects of the life I was living on my whole being. She pushed me to make changes and warned of an imminent and more intensive break down to my health. This was also the physician who first incorporated aromatherapy into my wellness plan when she prescribed the sleep hygiene routine with lavender discussed in Slipping Into Slumber. Newly divorced, and dealing with a new boss creating a hostile work environment, I didn’t heed her warnings. I couldn’t see how to make changes while my senses remained in fight or flight status and I continued to flail out of fear of failure. What I didn’t realize was I was failing myself, and my health was failing because of my inability to focus on feeling well. And then, I received word that I would require urgent surgery for what seemed an unexpected issue with an extended recovery period. During that rest period, I came to the conclusion that the solution was to simply surgically remove everything else that was unhealthy and, then, I would be well. It was indeed critical that I extricate myself from the influences of the extreme external stressors such as the ex-husband from an emotionally abusive marriage, the current hostile job environment, and the health issue requiring surgery. But what I failed to realize was the work that remained within in order to address the aftermath, as well as to correct my course so I could become well. So, l continued dashing down my life path, which I thought I had cleared of ongoing danger until the night a horse ran right across my literal path as I drove down a dark and rainy road. That was the catalyst that literally and figuratively hurtled me off my path that night. With it came the realization I had received the gift of a “do-over.” What I knew for sure was I wanted to do whatever it took to enhance my overall well-being. And, so, while I worked on my physical rehabilitation, I learned I also needed to work on my mind and spirit to truly begin to walk in wellness. For me, there was no single “aha” moment of revelation illuminating the way in living color while working in those areas of my being that lie beneath. Instead, there has been exploration, experience and evolving — often with gifted healers to help guide the way. The process is active and it is intentional. It can take constant adjustment, like standing in a boat riding the waves, sometimes standing still, sometimes gently rocking, and sometimes getting tossed about. I also learned there is no arrival at a state of perfection in the practice of conscious wellness. Instead, I see the path toward optimal well-being as a state of awareness in which we make a series of choices about what works best for us in mindful moments that make needed self-care a priority. An approach that nourishes our mind, body, and spirit so that our whole being can flourish by bringing ourselves into a better state of balance. And, this is an important distinction. Rather than passively waiting for a return to health, growing well is a more active, engaged and empowered process in my healing journey. It implies the intention of tending to yourself. Tilling deeper into the soil to turn over old thought patterns and remove blocks that are depleting our well-being. Plant and nourish new seeds so your whole being can better flourish. 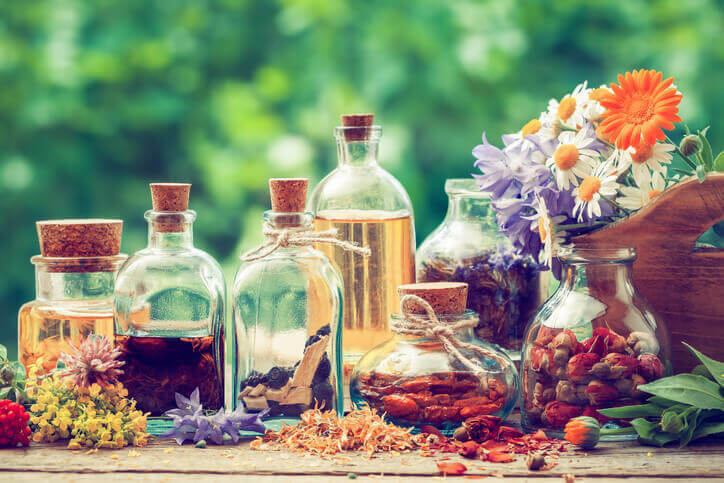 In nature, plants produce essential oils to support their ability to flourish. We can incorporate the natural gifts of these aromatic essences into our own self-care routines to support our own ability to grow well. On its own, aromatherapy shines in supporting our practice of growing well by nurturing our mind and nourishing our spirit. Incorporated into our self-care routines, aromatic essences create a synergy that enhances and expands the experience. There is no one-size-fits-all when it comes to finding which practices work for you. What is important is finding what fits best for your unique needs. If you are looking for some inspiration, you might like to start with the articles linked below. 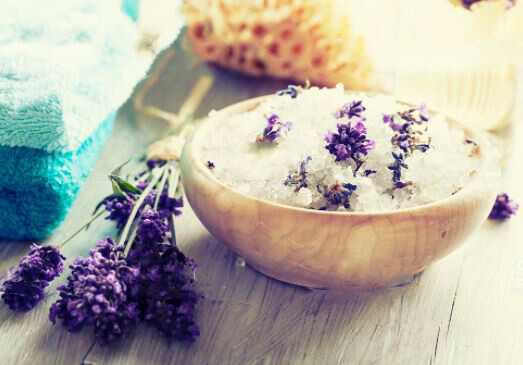 Each suggests some self-care routines synergistically supported by aromatherapy. Regardless of which road you choose to travel toward growing well, one thing I have learned for sure: It is vital to tend to yourself with loving care. 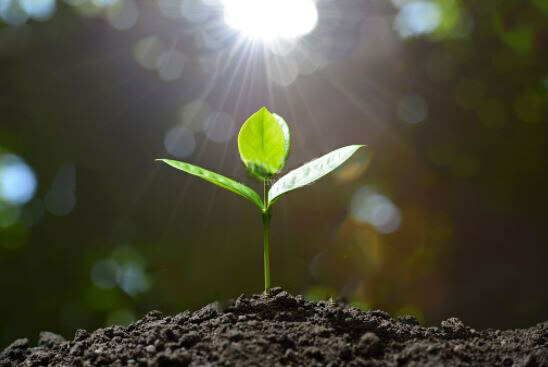 Like the planting of new seeds, we reap what we sow, and what we want is well-being that grows in a nourished and balanced environment, sprouting from a nurtured mind and spirit. With this in mind, I have outlined below what I have come to call “My Three Be G’s for Growing Well” along with some aromatherapy options that you may consider to support you in sustaining that space for yourself. Let go of expectation — don’t set time frames, measurements, or any other types of metrics to beat. If you need to see how far you have come, you can take a look back to where you started. Invite, don’t push — be at peace with yourself, not at war. Be resilient — be soft enough in your stance; flex, bend and bounce back. Give yourself the gift of time for self-care and for the process to play out. Don’t set a timer on your forward progress. Self-care is not selfish. It is putting on your own oxygen mask first to be prepared for what comes and where you are needed next. You are a gift and you have gifts to share. Being well enough to share your gifts also allows you to be in your purpose. Rather than battle your body, be grateful for what it endures on your behalf. Thank yourself, don’t berate yourself. Frustration and irritation create blocks in the road. Being sidelined by illness or injury is never a blessing. But, the time created can be used to re-calibrate, restore and renew. Use it well. Be Gentle, Be Generous and Be Grateful can serve as affirmations to gently remind ourselves to come back to a positive place in our journey to grow well. When we combine these with aromatherapy, we can create an aromatic anchor to help bring us back when we find we have wandered away simply by inhaling our chosen scent. For this reason, and as always, it is important to choose what you feel best supports your own sensibilities. When supporting emotional or spiritual needs, inhalation is the best approach. 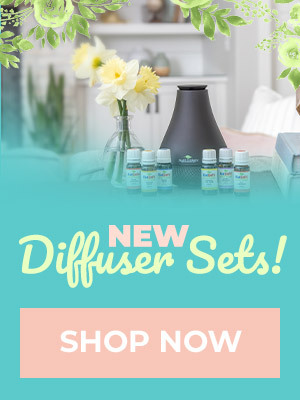 You could add 15 drops to a personal aromatherapy inhaler, add about 5 drops per 100 mL of water to your diffuser, add 1 or 2 drops total to aromatherapy jewelry, or create up to a 2% dilution and apply to pulse points with a roller bottle to smell (6 drops essential oils to 10 ml carrier oil). I have included a recipe below, as well as some ready-made synergies to help inspire you on your way as you choose your own path to grow well. Evoking the sweetness of life, Flourishing Spirit can create a feeling of infusing the spirit with an expansive sense of wellbeing. Soothing, calming and uplifting, the scent can support feelings contentment and compassion while gently encouraging balance to mind, body, and spirit to fortify our vitality and instill a sense of renewed vibrancy. Cautions: No known when diluted properly. It is recommended that spearmint is diluted to 1.7% or less when applied topically on its own. For purposes of this blend, you will be well within range if the total blend is diluted 2% as recommended for topical application. 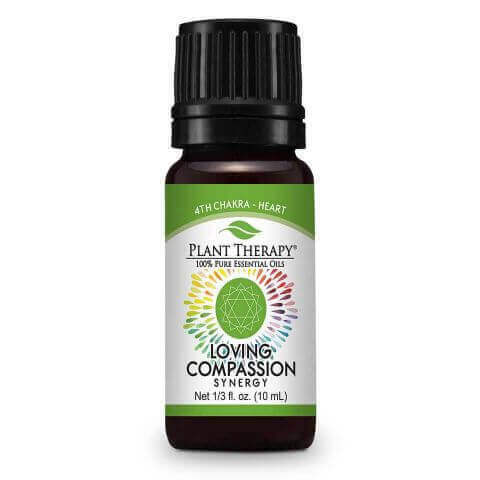 Loving Compassion — From Plant Therapy’s Chakra Synergy line, this comforting and calming synergy helps to nourish the heart center and spirit. 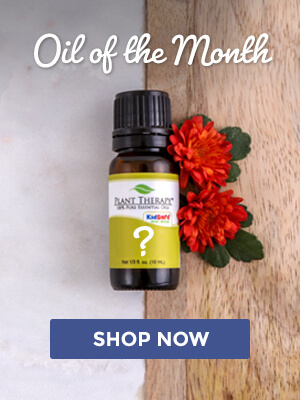 This scent invites positive energy and encourages a joyful outlook promoting unconditional love, compassion, and acceptance, including for ourselves. 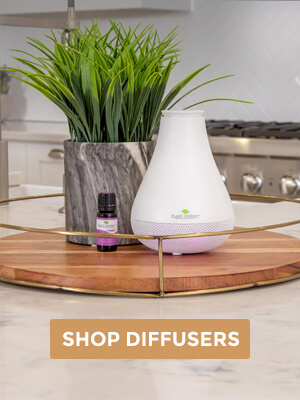 Calming the Child — a staff and customer favorite from the KidSafe® line, this synergy is fantastic for folks of all ages in need of some soothing to the senses. Calming and uplifting, this synergy supports a sense of serenity with its happy, sweet scent. Tell us what you think! How do you intend to: Be Gentle, Be Generous and Be Grateful? Let us know in the comments below. Thank you, Ellen for your thoughtful input on growing well. Even though I’ve now entered retirement (forced retirement, due to health issues related to working in a “sick building”), I unthinkingly exhaust myself and neglect to take the time replenish my body, mind and spirit. This is a great reminder to slow down, step back, and practice self care. Implementing the 3 Three Be G’s as affirmations will be helpful in redirecting my wellness journey. Thank you, again, for sharing your story.